One of the top social media moments for last year was the moment that a cute 3-year old photobombed a photo with the happiest smile on his face. The photo went viral and several people, including the photographer, became interested in the future of the young lad. 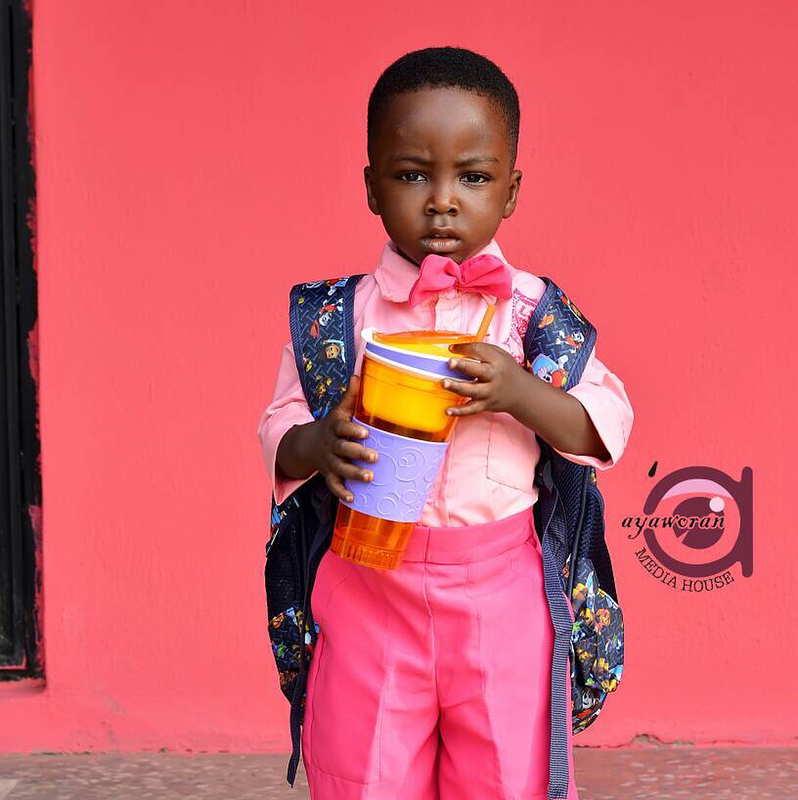 Musician Terry G was one of the people who showed an interest in young Oluwatobiloba‘s future with a promise to sponsor Tobi’s primary school education. 2017 is sure not the end of the Lil man’s saga, as 2018 promises to be a greater one for our Lil man, Oluwatobiloba Michael Falana. Following his viral photo bombing picture late last year, which got a lot of people inspired and wanting to sow into his life for his courage and bravery. 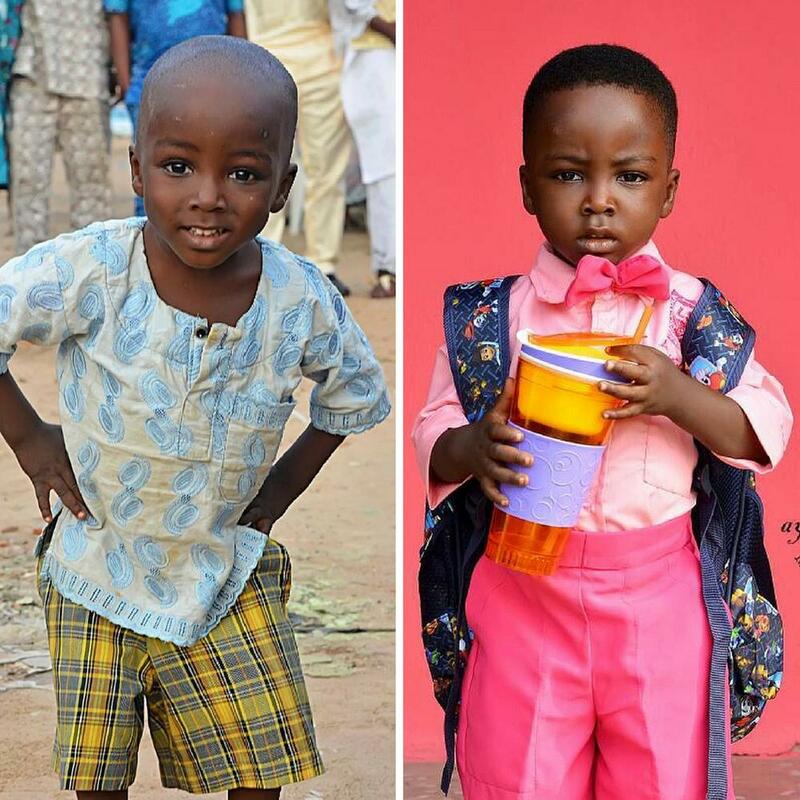 Gabriel Oche Amanyi (Terry G), one of the many Nigerians moved by the viral picture came through with his promise as Oluwatobiloba resume school today alongside his peers.The popular musician Terry G on his social media page promise to sponsor the boy through his primary education. Oluwatobiloba, on the other hand, was more than happy to be in school, something he had been looking forward to. It’s however surprising how a picture can be the beginning of great things. It will be recalled, that the three-year boy who is a product of a failed marriage, abandoned by his mother when he was barely a month old in the care of a jobless father and has never seen the four walls of a classroom has his story changed today 8th January 2018. We are however grateful to every group and individual that have reached out to Oluwatobiloba Michael Falana, every kind-hearted fellas that deemed it fit to make our Lil man a better person. We appreciate your time, cash, gifts and other promises that are yet to be actualized.